Watercolour 52 x 67.5 cm. image size is 49 x 64 cm. Max Miller was born in 1940 at Wellington, N.S.W. 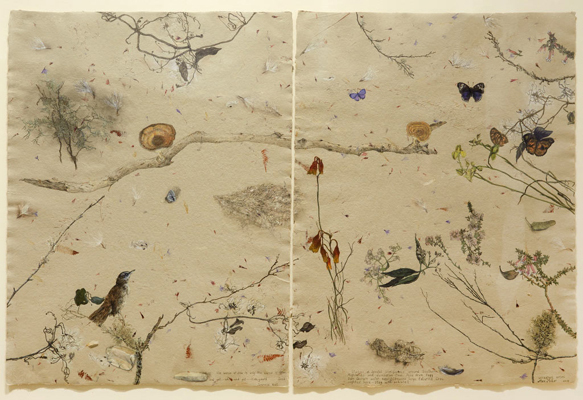 1963 – 64 Studied at the Julian Ashton Art School, Sydney – Drawing and Painting. 1965 East Sydney Art School, Sydney – Sculpture. 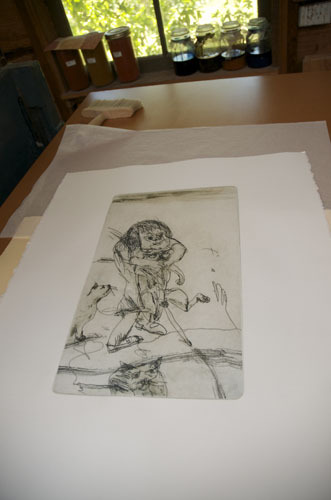 1967 Max attended the American School of Arizona, Summer School in Florence, Italy Introduction to Etching. 1967 – 68 Studied at Hammersmith School of Art, London – Sculpture. 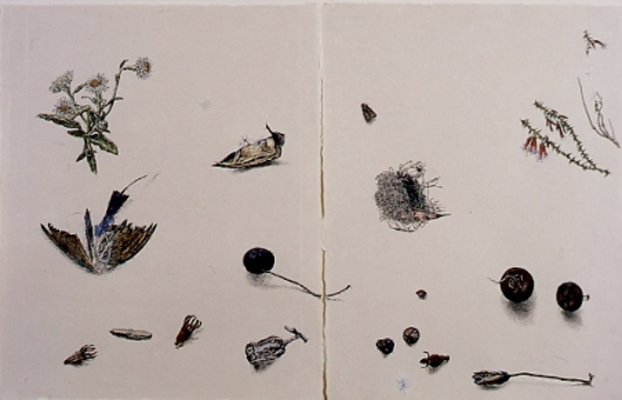 1968 – 72 Studied at St. Martins School of Art, London – Post-Diploma for Foreign Students Painting and Printmaking. 1972 Max returned home to Australia by sea and overland via Europe, Middle-East, India and South East Asia. 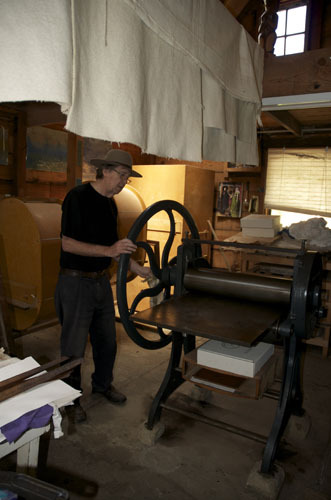 1973 Max helped set up and acted as Co-Director of Miller Street Print Workshop (also known as Zero Print Workshop). Max Miller Taught at National Art School, Sydney, part-time. 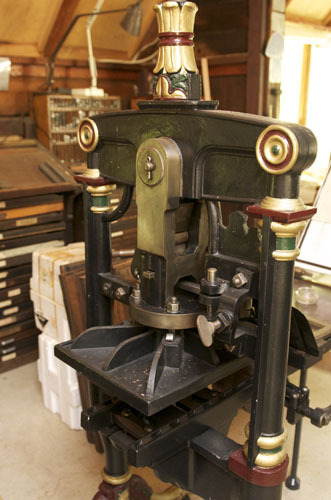 1975 Began working in conjunction with David Rankin on Print Edition-ing. David Rankin formed Port Jackson Press. 1976 Moved to East Kangaloon and set up his own print studio to work on his own work and limited edition fine art etchings. 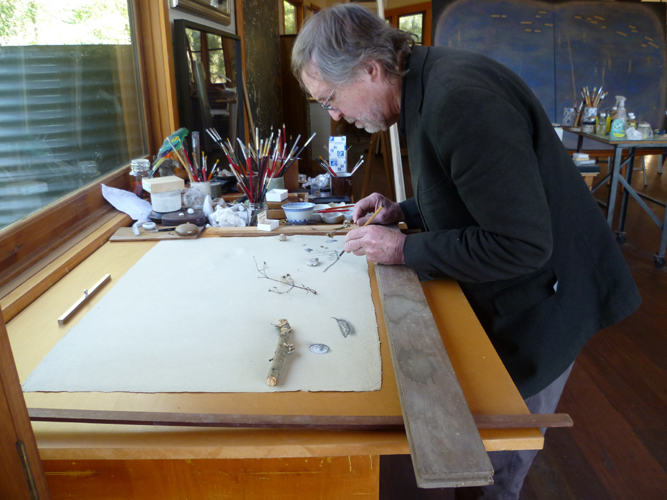 1976 Since 1976 Max Miller has for worked with artists Lloyd Rees, John Olsen, Clifton Pugh, Cedric Emanuel, Arthur Boyd and Frank Hodgkinson in the traditional making of limited edition fine art etchings and prints. 1979 Returned to Europe and visited Japan, contacting hand-made paper workshops and studios for Printmaking. 1980 Max was Commissioned by Panasonic Australia for two editions of etchings. 1981 Travelled with Clifton Pugh to Tibooburra and Coongi Lakes in the desert areas of South Australia, South West Queensland and N.S.W. 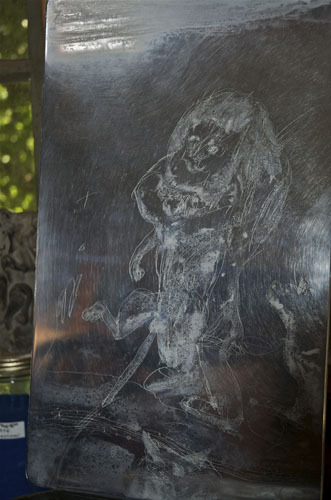 This made a great impression on the artist and since then he has made extensive field trips into the inland every year. 1983 Commissioned with Clifton Pugh by the Wilderness Society of Australia to visit and complete a series of works on the wilderness areas of the Franklin and Gordon Rivers. 1994 – 95 Made trips to Europe and Japan. 1996 Travelled extensively in Japan. 1997 – 99 Travelled central Australia. 2002 – 03 Travelled to South Australia, Northern Territory and Arnhem Land. 2004 Travelled to Yikkala and Elcho Island, Arnhem Land, with group of Artists to work on a two way exhibition for black and white Artist’s at Framed the Darwin Gallery. 2005 – 09 Preparation for Exhibitions – Maitland Regional Gallery, Framed The Darwin Gallery & Tim Olsen Gallery. 2004 Tim Olsen Galleries, Sydney PAGE 2 Group Exhibitions. 1970 St. Martins School of Art Gallery, London. 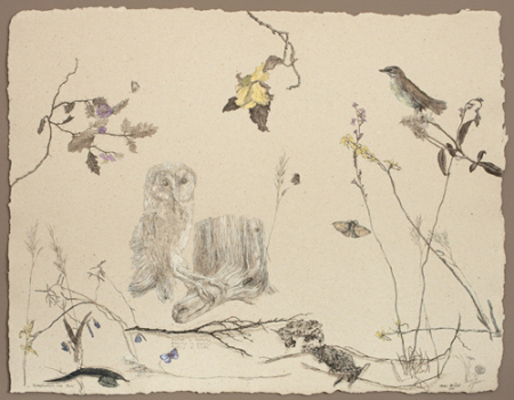 1988 Invited to exhibit with the Watercolour Society, Sydney. 1995 Three Painters – Savah Gallery, Sydney. 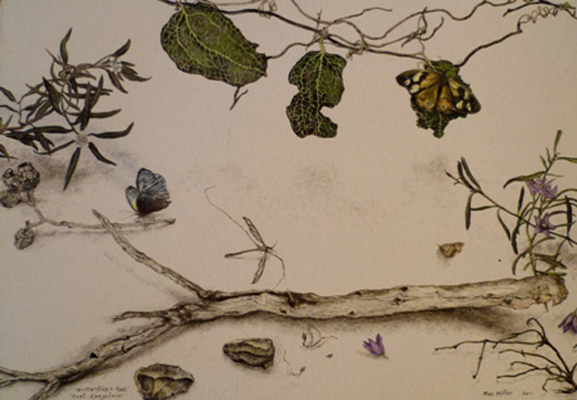 1996 Selection of Watercolours and Etchings, in gallery exhibition of Australian Art Corbally-Staunton Gallery, London One of 5 artists selected to exhibit in exhibition ‘East of the Sun’ at the Brett Whiteley Studio. 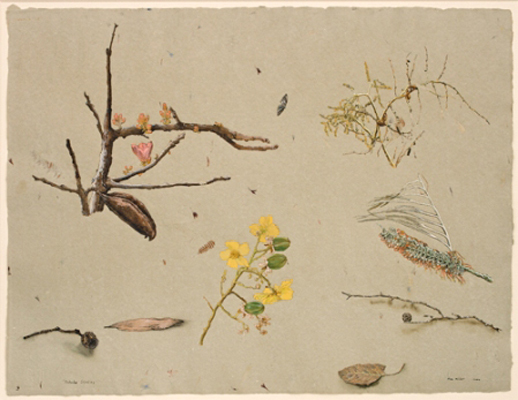 “Australian Watercolours from Gallery Collection 1882 – 1980s at the Art Gallery of N.S.W. and then travelling to Regional Galleries. Exhibition travelled to Hong Kong. Travelled to central Australia, hosting group of British Artists ( Royal Society of Engravers & Etchers and exhibiting with them in the U.K Solander Gallery – Twenty Six Important Painters. 2002-03 Bell Gallery, Berrima N.S.W. 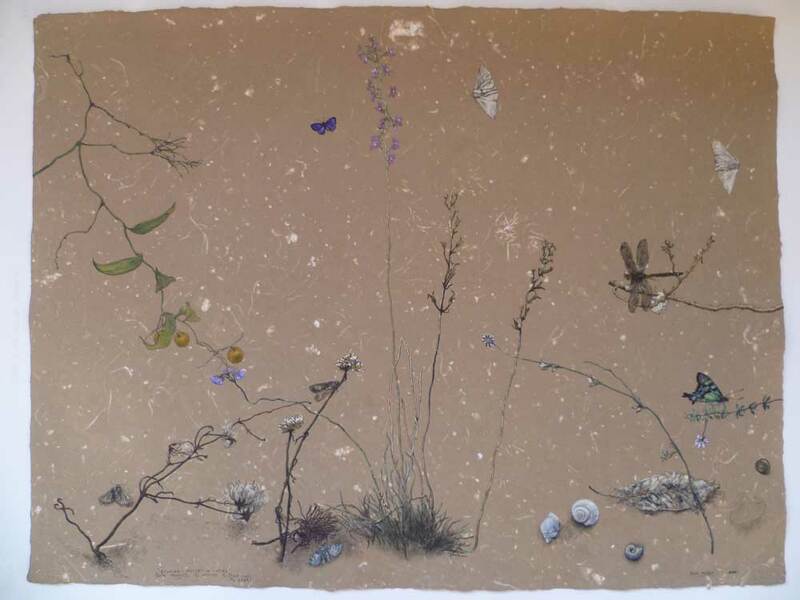 Exhibition – Benjamin Hargraves Gallery, London. 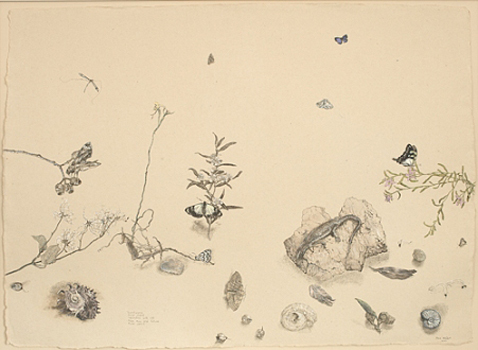 1973 74 Royal Agricultural Society, Sydney – Modern Painting Section. 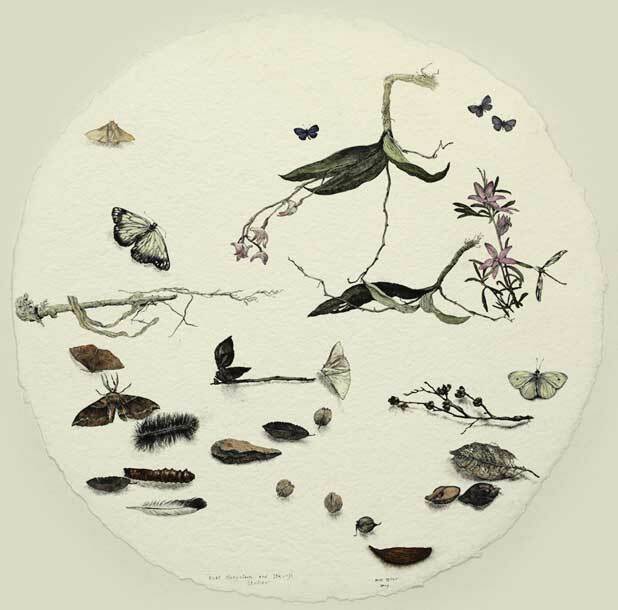 Eire Print Biennial – awarded Jurors Choice. 1986 John Olsen, My Complete Graphics 1957 – 79, Gryphon Books. 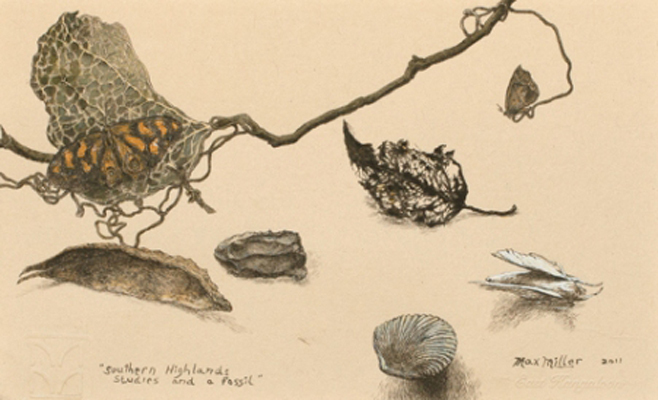 2003 Acquired – Kedumba Drawing Prize – Wentworth Falls N.S.W. Parliament House Collection, Canberra. A.C.T. Australian Artist Magazine, June 1996. Australian Painting 1975 – 80, Kim Bonython. Australian Printmaking in the 90’s, Sasha Grishin, Craftsman House. Australian Printmaking, Sasha Grishin, Craftsman House, 2001. Contemporary Australian Painting, Craftsman House, 1992. Images II, Contemporary Australian Painting, Craftsman House, 1994. Images III, Contemporary Australian Painting, Craftsman House, 1997.
International Artist Magazine No. 9, Oct-Nov 1999. 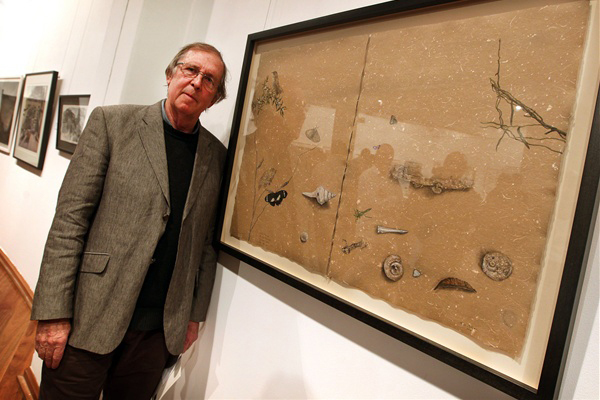 John Olsen, His Complete Graphics 1957 – 2005, Macmillan Publisher.